Even if you don’t book a room, Cavallo Point is worth a stop: it’s just a half mile from the Golden Gate Bridge and is within bounds of the National Park. 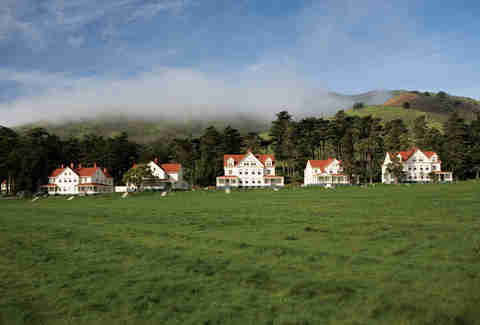 But it’s worth overnighting here, because Cavallo isn’t just a staid luxury property relying on a killer view; about half of its 142 rooms are historic rooms and suites crafted from the turn-of-the-century officers quarters of the Fort Baker military base. Unlike those guys, you can skip morning PT to hit the spa. Inside tip: If you’re staying here, you can borrow a loaner car for a few hours for free. If you’re not, you can still hit the Farley Bar for a drink with a killer view (and live music on weeknights). Inside tip: The best place to crash in the joint is one of the handful of “Terrace Fire Pit” guest rooms. 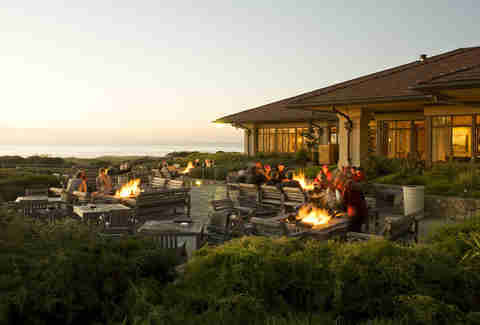 Each boasts a patio with a place to burn hardwood while watching the cosmos appear over the coast. 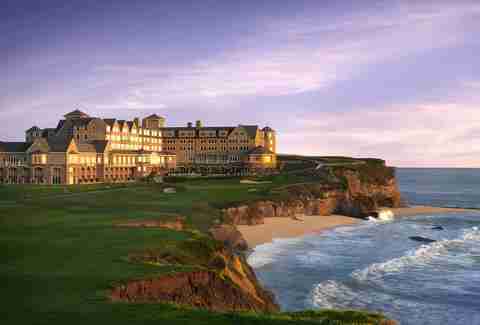 Book one of 269 rooms here for a couple of nights and you’ll qualify to play the affiliated Pebble Beach Golf Links -- one to scratch off the bucket list for sure. (The Scottish-style links course onsite is no slouch, either.) Before playing, you can fix your ragged swing at the newly-built Golf Academy and Practice Facility, which boasts some of the most high-tech robotic training equipment in the world. 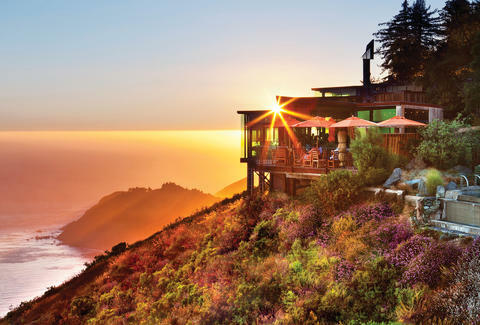 Of course, you could just savor the view of the wild Pacific from your room instead. Inside tip: Ask for a room on the first fairway: you’ll have a sightline of not just the ocean, but of a bagpiper that plays at sunset, rain or shine, which is actually way nicer than it sounds. Opt for this hidden, euro-style stay to win points with your S.O. for its exclusivity. 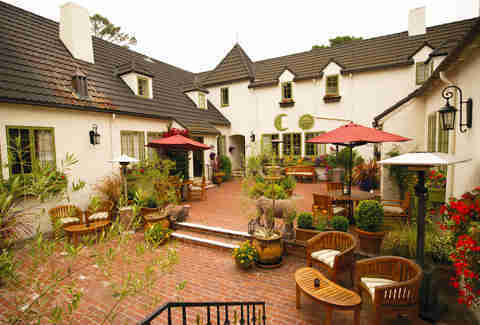 Its a boutique inn built in the 1930s, and has just 20 airy rooms. 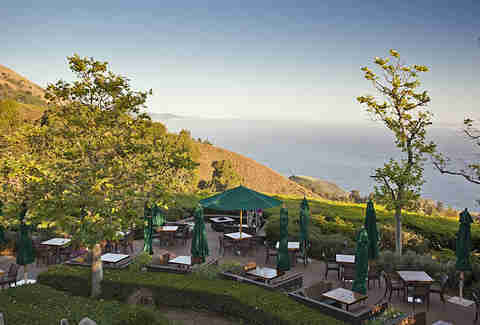 The real reason, though, that most folks book here is Aubergine, a 12-table restaurant onsite featuring five-star local cuisine and wines from the nearby Carmel Valley. FYI: They probably don't like it if you call their restaurant "Eggplant." Inside tip: L’Auberge has rooms of varying sizes, at the same price -- call ahead to get a description of what’s available. Another stay worth checking off the life list, the Post Ranch offers 42 killer rooms, from modern treehouses standing nine feet off the forest floor to a pair of private houses kitted out with the works, from soaking tubs to Sonos. Of course, each features a life-altering panorama of the central coast. Booking a stay in any room grants you access to two 104-degree infinity spas. Warning: Instagramming from one will bring haters out of the woodwork. Inside tip: After sunset, hit the Sierra Mar deck and use the Post Ranch telescope to peep an insane array of stars. This luxe, rustic retreat features mid-70s cedar cabins hidden among redwoods, and offers a ridiculous amount of low-key California calm. Many of the rooms have private decks with hammocks where you can doze within earshot of the pounding waves below. If you’ve got spawn, leave ‘em with grandma; Ventana allows adults only. Inside tip: Of the two pools, one is clothing optional. No guarantees that that’s a good thing. 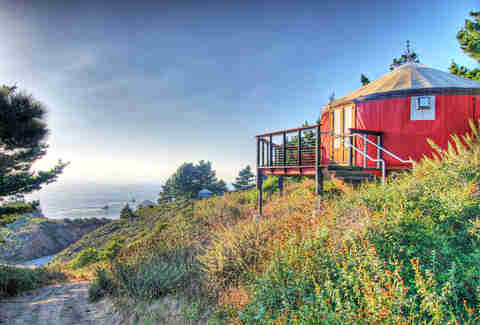 If you like the idea of camping on the coast but don’t want to collect the gear to do it, stay at this glamping resort, where a series of yurts and tent sites are arranged high on a bluff with Pacific views. 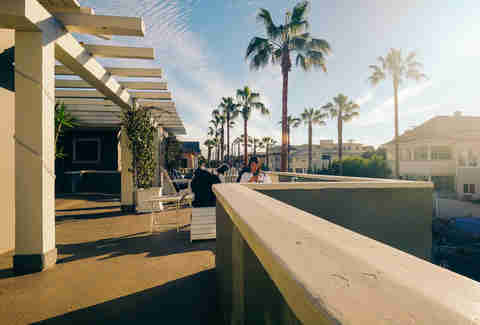 You’ll rough it just enough -- there’s a sushi bar and a restaurant serving alcohol, along with a heated pool and hot tub you can indulge in before crashing out in earshot of the ocean. Inside tip: Wanna do it like Big Bird? 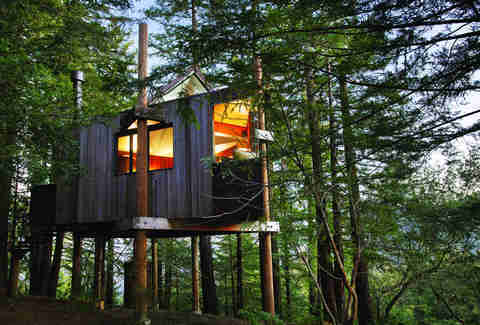 Book the “Human Nest,” where a wood ladder allows access to a hand-built, well, nest, woven from branches. A futon mat is inside; you bring a couple of sleeping bags (the nest fits two.) It costs $150 per night and books 6 or more months in advance. 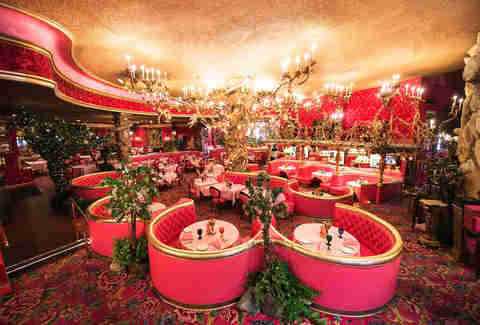 If the epicness of Big Sur didn’t trip you out enough, perhaps book a night at the Madonna Inn, a rose-hued, ca. 1950s vintage explosion, for a sure perspective shift. Each of the rooms is individually decorated, from Country Gentleman (Room 108) “in the tradition of a stately English manor” to Yahoo (room 132) where “the days of cattle drives are still alive” (and the bed is on stagecoach wheels.) Some rooms book years in advance such as Caveman (Room 137) which has solid rock walls decked out with stone-age clubs. Inside tip: Don’t, uh, miss the rock waterfall urinal downstairs. You choose your particular level of poshness at this glamping resort, which occupies 300 acres near the Santa Barbara coastline. 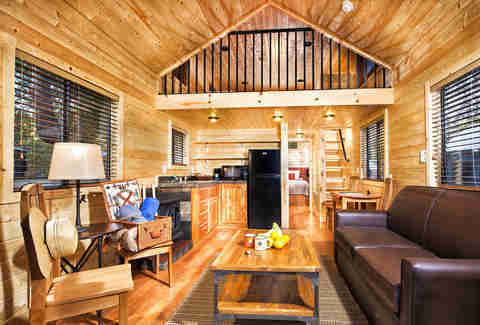 Opt for a 12x14’ safari tent or a wood-floored yurt to “rough it”; book one of 108 individual cedar-framed cabins for amenities like a kitchenette with a microwave. Some cabins have firepits, in case you prefer a more low-tech culinary approach. Inside tip: Book in the dead period after Thanksgiving, when rates are cheap and Sycamore leaves cause the canyon to glow bright yellow. Fashion photog Glen Luchford and partner Doug Bruce recently converted this hundred-year old arts & crafts building, most recently a run-down pension house hosting surfers and punks, to a low-key boutique stay with plenty of Ace hotel vibes. Think airy, wainscotted rooms, a well-curated photo collection, and Blue Bottle coffee on site. Plus it’s only a block from the boardwalk. Inside tip: You can borrow a bike for free, and access is easy to the 20 miles of paths spanning up to Malibu.